Because this is of course the first year I'm not living at home during the Christmas period, its only right to try and tick some of the London events that I've seen all over Instagram.. and have been continuously jealous of year on year! 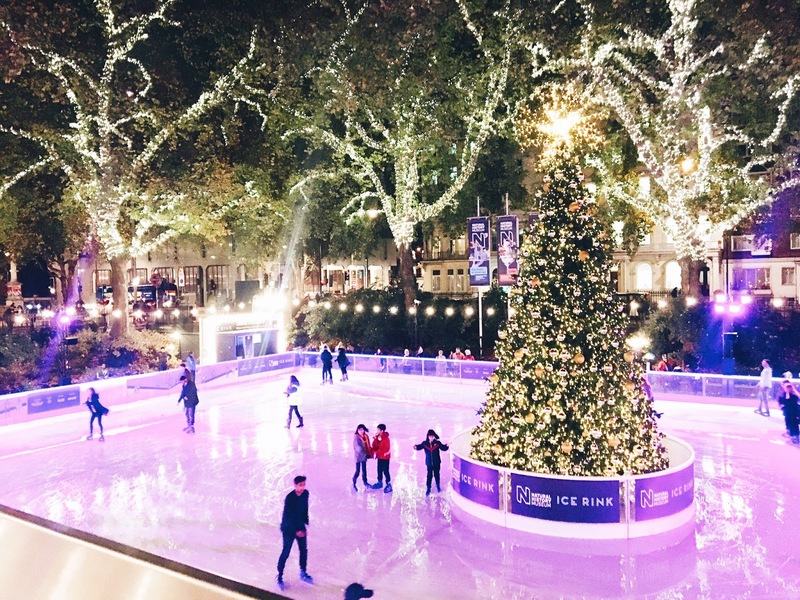 Well, Christmassy Ice Skating can now be ticked off the list. 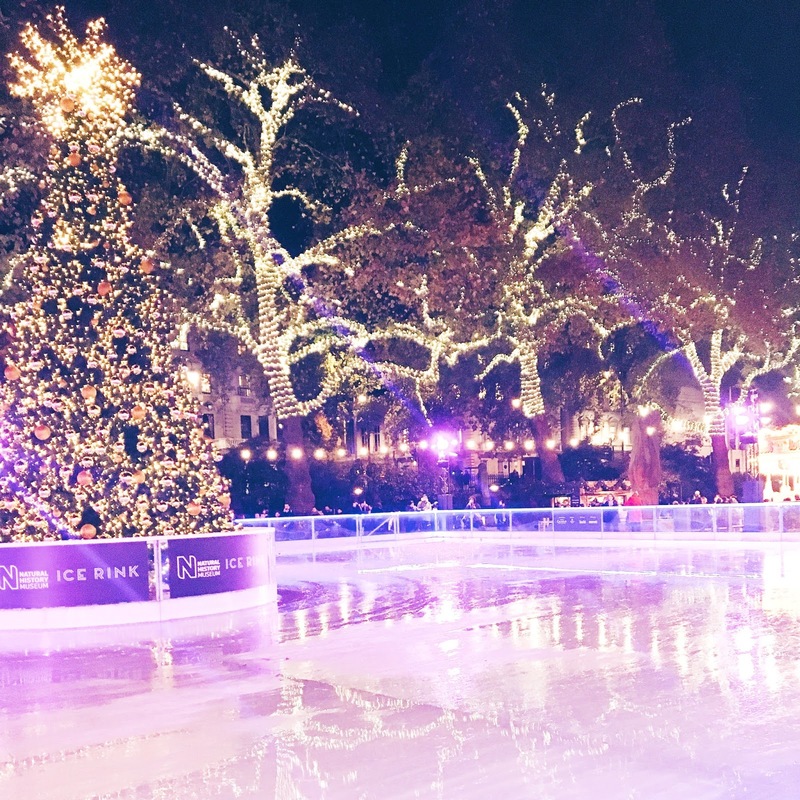 As we arrived, we were greeted by tall trees, all twinkling with lights and one huge Christmas tree in the centre of the rink. I'll admit we were VERY excited and must have taken about a hundred photos. After having a complimentary drink (perks of a student discount!) we put our boots on and had a good 50 minutes to skate. 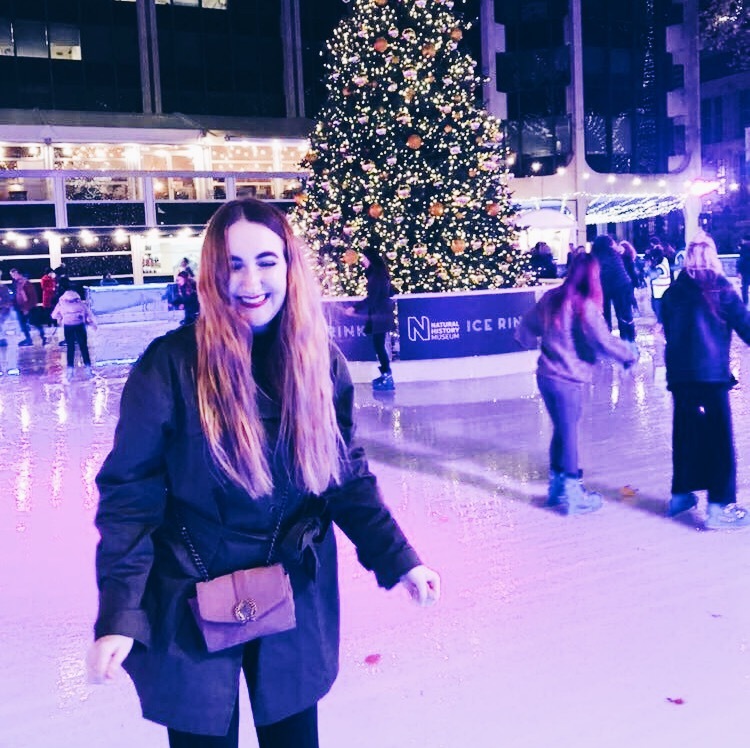 To be honest, I'd actually forgotten how difficult ice skating was - my legs were a bit jelly like! After a little while though I soon found my balance and wasn't ~too~ bad (well I didn't fall, so) As we finished up skating by around 7, it felt too early to leave London. So, what better thing then to have some cocktails to finish the evening?! 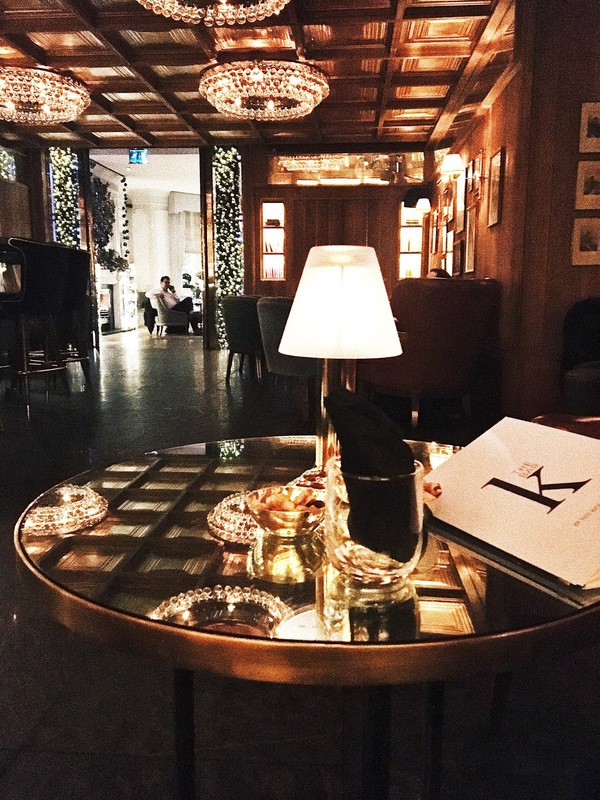 After wondering around trying to find somewhere, completely by accident we found The Kensington - an obvious very swanky hotel. So we sat in the dimly lit bar and drank a Champagne cocktail, acting like the ladies that leisure we both are! I have to say, it was a very very great Tuesday and even if it didn't really help in me feeling anymore Christmassy (why do I feel like the grinch this year?!) we both had an amazing time - even if it did break my heart slightly that I'm no Jayne Torvill; oh well HAHA!